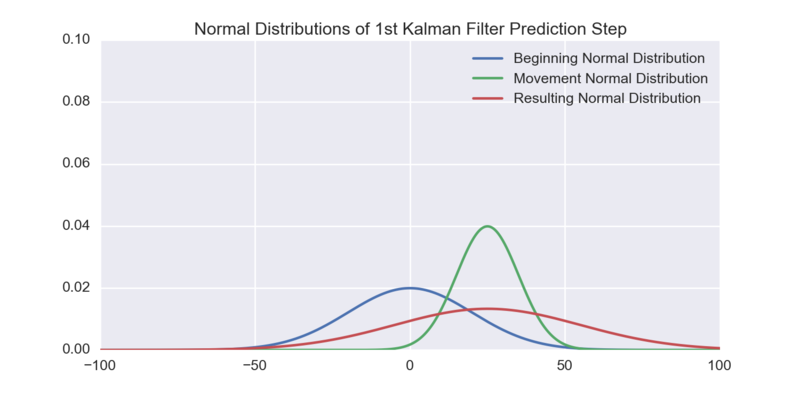 The best filter algorithm to fuse multiple sensor informations is the Kalman filter. To implement it for non-linear dynamic models (e.g. a car), analytic calculations for the matrices are necessary. In this talk, one can see, how the IPython Notebook and Sympy helps to develop an optimal filter to fuse sensor information from different sources (e.g. acceleration, speed and GPS position) to get an optimal estimate. Believe it or not: No sensor on the whole world is providing the 'real value'. And even if, you do not know, if it is the real value. Basic introduction to the theory behind the filter algorithm in just one dimension. Now we are going multi-dimensional with matrices. This is actually a real life example, which fuses GPS measurements and IMU measurements of a real vehicle.